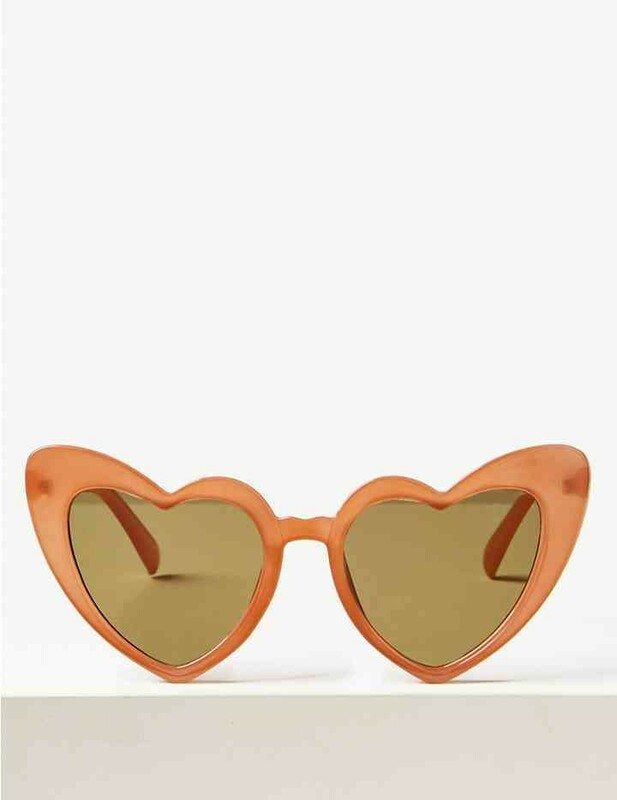 Heart shaped sunglasses in peach. Spread the love with these stylish women’s sunglasses, crafted in a heart shape to add a playful touch to all your warmer weather ensembles. Not only do they make a cute style statement, but these heart sunglasses are made with 100% UV protection to shield your eyes from the sun.